A couple of friends from Florida came to visit me at the shop. One I’ve known since high school in Fort Myers but she also went to the same college as me, and the other had been a member of my collegiate cycling team. I had no idea that they knew each other (same program at the university), and without warning they both show up at the shop. Man, that brought back a lot of memories. I remember working at Recycled Bicycles in Gainesville (no relationship to Seattle’s Recycled Cycles), wrenching on crackhead bikes. I remember riding my Bianchi cyclocross bike through the woods behind Archer Road years before anyone in that area knew what the hell cyclocross was; specifically I remember lots of sand. I remember riding down flights of stairs on my road bike while delivering pizzas: I’d break rear axles at a rate of 1 axle every 1-2 months. G-ville is a great town to ride a bike in, especially during the winter. Gotta get back there for some quality time soon. 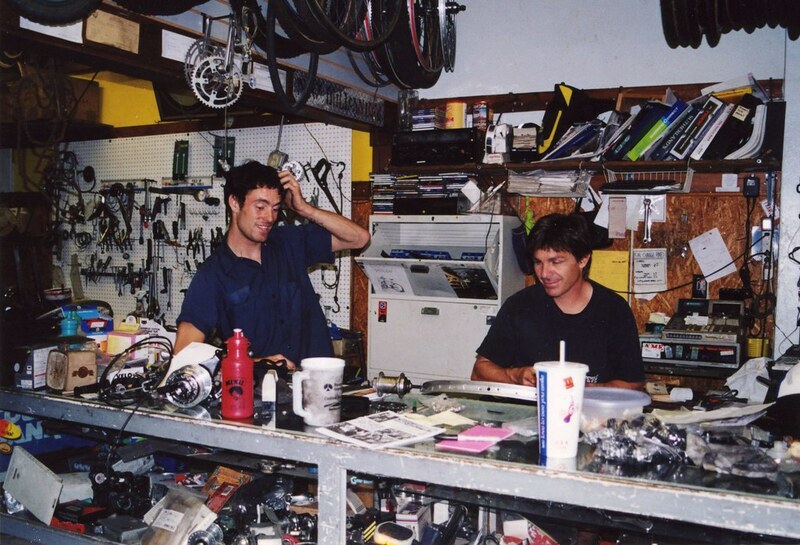 top photo of my boss Dave and co-worker Dan at Recycled Bicycles (2001). we were probably listening to Cibo Mato on the stereo. 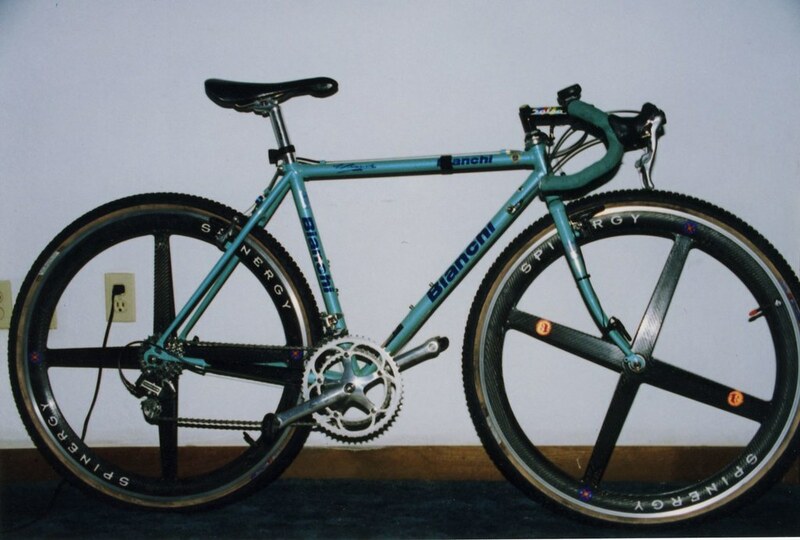 lower photo is of my Bianchi RC cyclocross bike (circa 1998). lugged steel with Rev-X wheels. god, i wish Avid Shorty Ultimate brakes existed back then. Hahaha, I just remembered that my old campus residence area used to have a pre-Homecoming event called “Mudfest” in which they’d dig a huge mud pit between Weaver Hall and South Hall to host competitions ranging from mud volleyball to mud flag football to the classic mud tug-of-war. After Homecoming, they’d rope off the area to allow the mud to solidify. A month later the surface would be cracked clay but if you were stupid enough to try to ride through it your bike would submerge to within 3 inches of the lower headset cup.